Over the weekend, I was lucky to find some cherries from our farmer's market even though the cherry season has long passed. It finally gave me a reason to try my hand on making cherry clafoutis, a recipe that I have been thinking a lot about, when cherries were abundant, but never got around to making it. So, I took this as a sign that it's my time to make clafoutis. You see, I have been hesitant for a long time, because I am not really into custardy desserts. But seeing it popped up on lovely Bea's blog a couple of times, it made me suddenly craved for one! And this was how I finally decided to charter into the clafoutis land. Being a timid and undecisive baker/blogger that I am, I did a bit of blog-hopping before I settled on a fool-proof clafoutis recipe. It's not one from Bea's though, because at 10p.m, I realised I had ran out of heavy cream, an ingredient required in her recipe. So, I settled for another great recipe. One that this blogger said it's a good clafoutis recipe and another blogger made it with stunning result too, that gave me enough assurance to dive right in! Surprisingly the making of clafoutis was pretty easy. I beat everything by hand (without breaking a sweat), and within 30 minutes, they were sent into the oven. I was apphensive about the outcome, so with the little waiting time I had, I went to bake something else. You know, in case the cherry clafoutis turned out "not my cup of tea" I will have something comforting as backup. I settled for plum galettes. Mainly because I had seen it not long ago on Martha Stewart's website and I had some gorgeous plums. 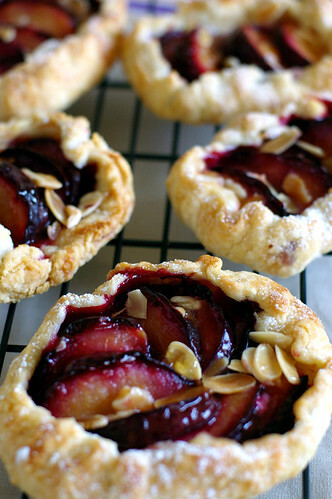 Well, to tell you the truth, I have debated with myself on whether to bake the plum galettes. They are so sweet and perfect to be eaten on its own. What if there isn't anymore plums in the farmer's market when we return the next week? I asked OCT for his opinion, and even told him the pros and cons of baking up a batch of plum galettes. I don't remember whether he gave his seal of approval, but evidently a batch of galettes was made nonetheless. Since there's a batch of pate brisee in the fridge, all I had to do was to slice the plums into pieces, mixed them with some sugar and cornstarch, and "tried" to arrange them decoratively on the pate brisee. The galettes were baked in the same temperature as the clafoutis which was great. They could keep one another company and discuss their fates once they were out of the oven. But they didn't stay together for long, as the time for the cherry clafoutis was up. It gave me great joy to see the clafoutis rose to such heights even before I tasted one. They reminded me of souffle (even though I have never made one, but one can imagine right? )I asked OCT to check out the "fake souffles" too. They were quite stunning but I wasn't sure if that's how clafoutis should behave. 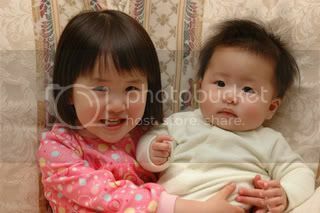 At least I don't remember seeing them so puffed up on Bea's blog. I could have overwhipped the milk mixture or baked them slightly too long. But my worry was unfounded because the clafoutis collapsed once they cooled down. Time for verdict! I tentatively took a small bite, and then another, and before I knew it, I almost finished one clafoutis by myself. OCT was summoned in for tasting and it was love at first bite for him too! However he complained about the trouble of having to spit out the cherry pits. "It imparts an almond flavor to the clafoutis!" I pretended to be knowledgable and knew what I was doing, while in fact I obtained the information from other fellow bloggers. Sometime I love to pretend I know more than OCT when it comes to food.ha! The plum galettes however, turned out to be on the sourish side. I tried to sweetened them up with some powdered sugar, but the attempt was futile. After sitting forlornly in front of the sour plum galettes for about half an hour, a light bulb moment came. The idea was to make a sweetened apricot glaze and smothered on top of the galettes! This certainly worked and I was relieved that there won't be any sour plum galettes to haunt me in my dream! I won't forget the smile and excitement on her face, as if it's her Christmas present on Christmas morning. I haven't felt so appreciated in a long time and almost forget how good it feels. It's totally worth the effort to make something for people who would appreciate what you have done, don't you think? Sprinkle a lightly floured work surface with 1 tablespoon turbinado sugar. Roll out dough into several 5-inch rounds, about 1/4-inch thick. In a small bowl, mix together 1 tablespoon flour, granulated sugar, cinnamon, and nutmeg. In a large bowl gently toss together plums and zest. Sprinkle the flour mixture over plums; gently toss until evenly coated. carefully place a few pieces of plum on top of dough, leaving a 1-inch border all the way around. Fold border over plum mixture, overlapping where necessary and gently pressing to adhere the folds.Repeat with the rest of the dough rounds. In a small bowl, beat together egg with 1 teaspoon water. Brush edges of dough with egg mixture, and sprinkle with turbinado sugar. Bake until crusts are golden brown and juices are bubbling, about 30 minutes. Transfer the baking sheet to a wire rack to cool. Serve warm or at room temperature. Place flour, salt, and sugar in the bowl of a food processor; pulse to combine, about 30 seconds. Add butter; pulse until mixture resembles coarse meal. While pulsing, slowly pour in 1/4 to 1/2 cup ice water; process until dough begins to come together. Divide dough in half; shape into two disks. Wrap in plastic; chill at least 1 hour before using. Note: I used a pastry cutter to make the dough with no problem. Preheat the oven to 400 F. With a mixing bowl, beat the sugar and eggs with a wire whisk until they turn lighter in color. Gradually add in the melted butter, beating to incorporate. Add the flour all at once and whisk until the batter is a homogeneous mixture. Slowly pour in the milk and vanilla,whisking to combine. The batter should be very smooth and shiny. Top some chopped pistachio on the clafoutis before serving. 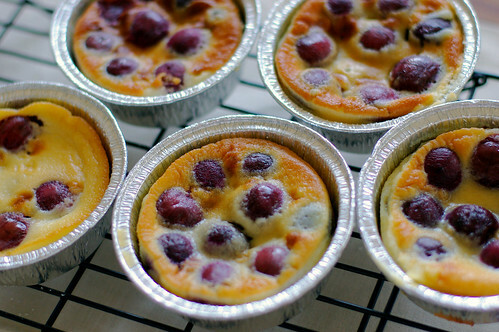 Make 7 individual size clafoutis for weekend breakfast. Just like you to know, even though we don't say it well, that we always enjoy your yummy treats, and appreciate your thoughtfulness! Both your dessert look divine! And happy belated birthday to you too! Oh Mandy WOuld you marry me?....These are to die for! Your pictures are mouth watering! 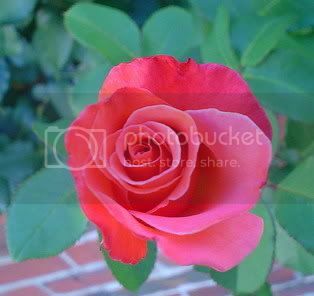 Mandy, your photos are gorgeous! My partner also complained about having to spit out the cherry pits (men!). I gave him the excuse that if I pitted the cherries, the lovely juices will be wasted. all these look absolutely gorgeous and tasty! I am so glad you tried clafoutis! Oh how delightful! I too have been meaning to make cherry clafoutis for some time. What a great inspiration! 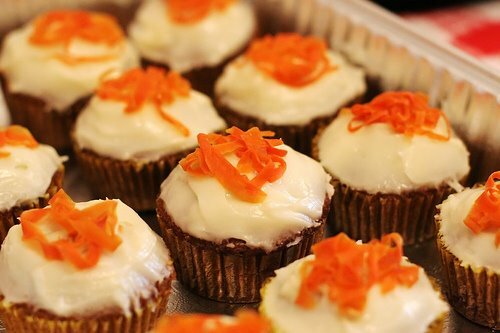 OMG, they look too delicious. Seriously, you really inspire me to start baking, really. Plus baking doesn't make your kitchen dirty so fast...no oil splattering, etc. LOL. Let me know if you make galettes, I would love to see your creations! what a coincidence! That recipe is a keeper! thanks bp! Hopefully I can get some cherries again this weekend, then I will surely bring some for you! I am glad they turned out well too! Make it! 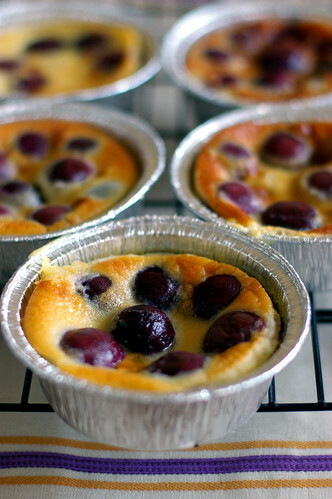 Despite its simplicity, clafoutis is a real treat! likewise, I have made many recipes from your blog with great success. Malaysians memang pandai! LOL! So glad I found your blog! Your posts and photos are wonderful - and these tarts are TOO cute! 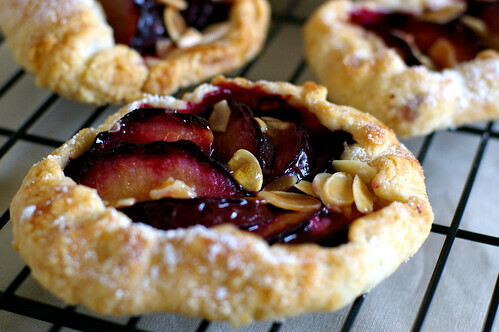 plum galettes look wonderful, they remind me of the German plum cake which is also a little on the tart side, what they do is sprinkle some cinnamon sugar on them and it really taste great.